I had the hardest time coming up with a title for this post that described what I hope to effectively share with you all today. When I was making the decision on a curtain for the boys' room I knew I wanted something sort of bold, graphic even. 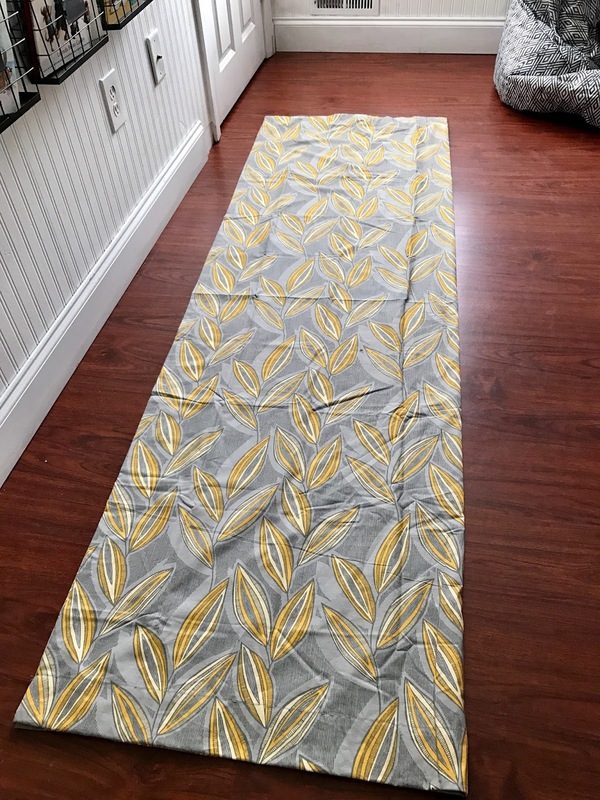 I ventured into Target and left with 2 different curtain panels. I then did what any normal person would do when making a decision, I consulted with my almost 2 year old, and we played eenie meenie miny mo (I just realized I've never had to spell that out in my entire life). The decision was made, and I was pleased! 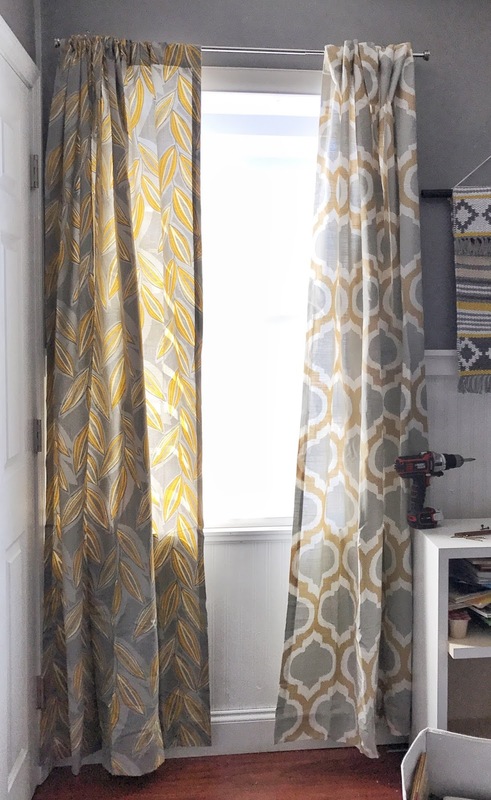 The only problem was that I had only purchased one of these curtain panels (because in all honesty, I had truly anticipated returning it). 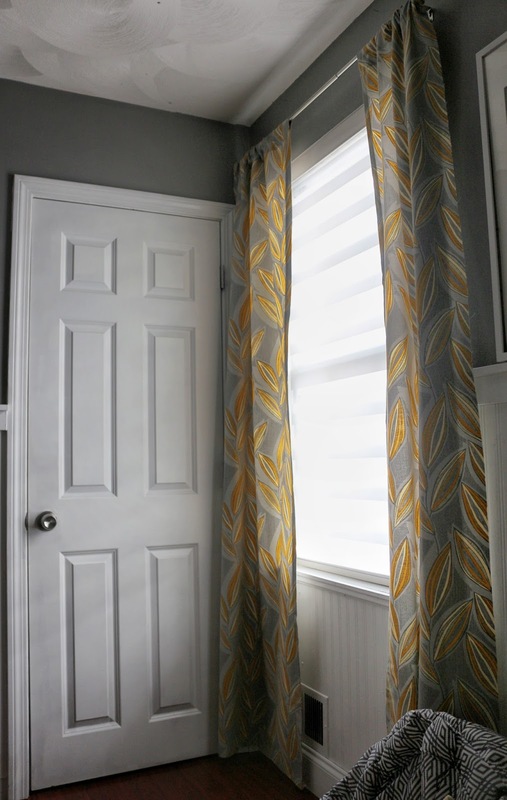 Rather than making another trip to Target, I made it work (as I have in the past), and today I'm going to show you how to make 2 curtain panels from 1 to dress a smaller window, and also how to get some extra length out of it while you're at it! 3. 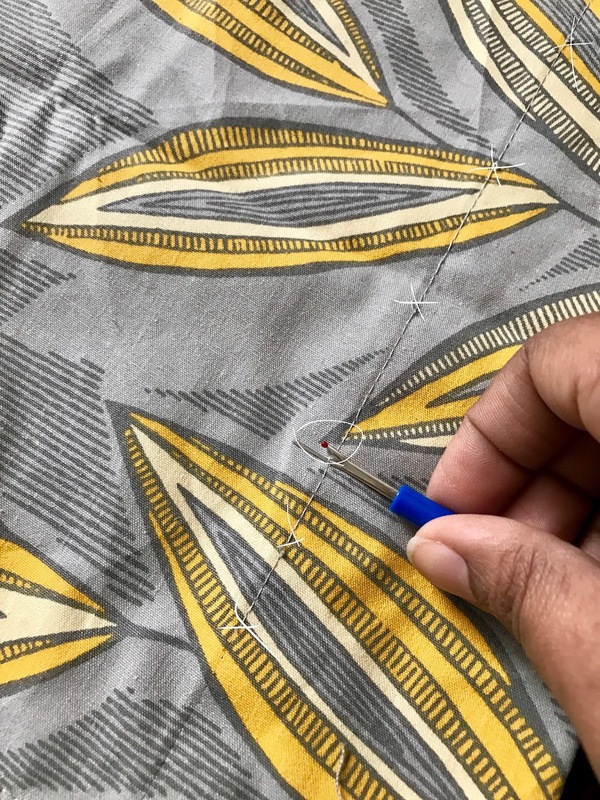 Once you get the beginning of the hem released, you can go along the seam every few inches and carefully pull the hem apart. 4. 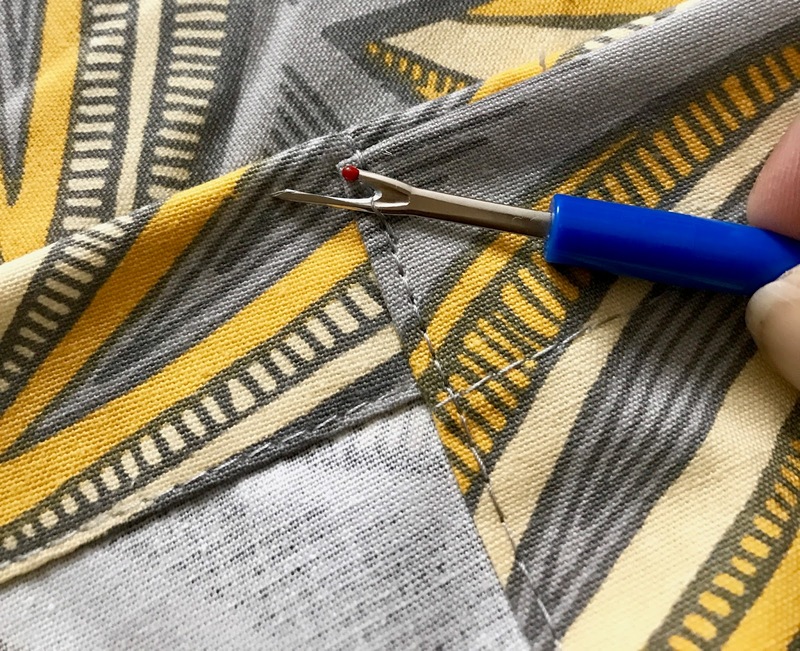 Fold the hemmed edge down and remove any stray threads. 6. 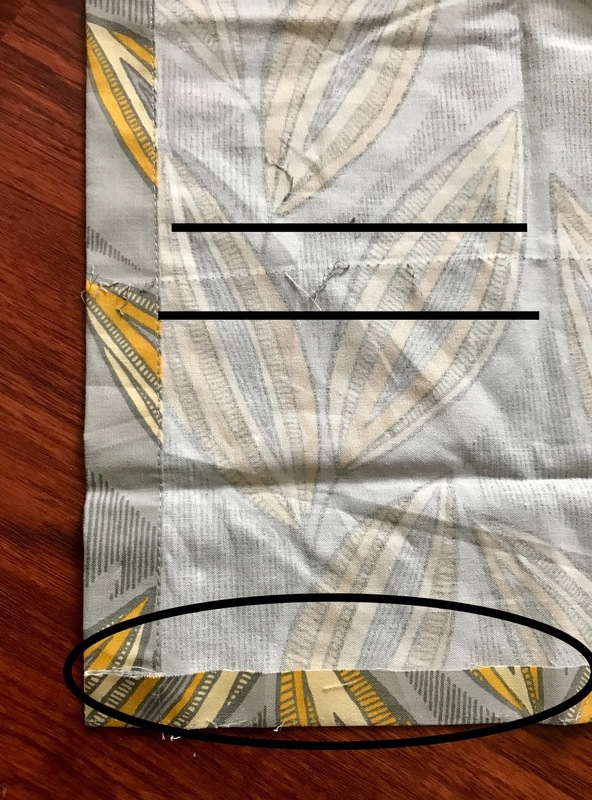 By releasing the hem, it gave me a little more than 2 additional inches of length! 1. 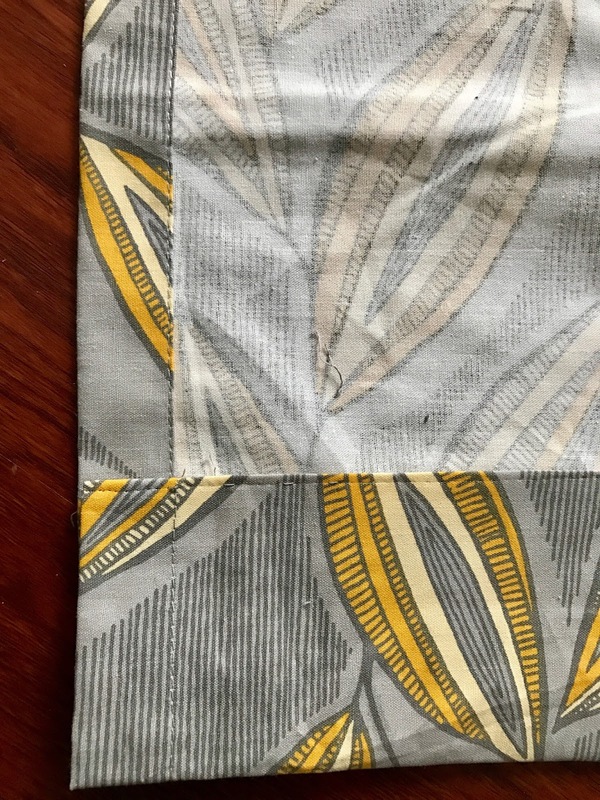 Lay your fabric out and fold it in half the long way. 3. Next I grabbed my iron and spray starch and got to working out the wrinkles. 4. 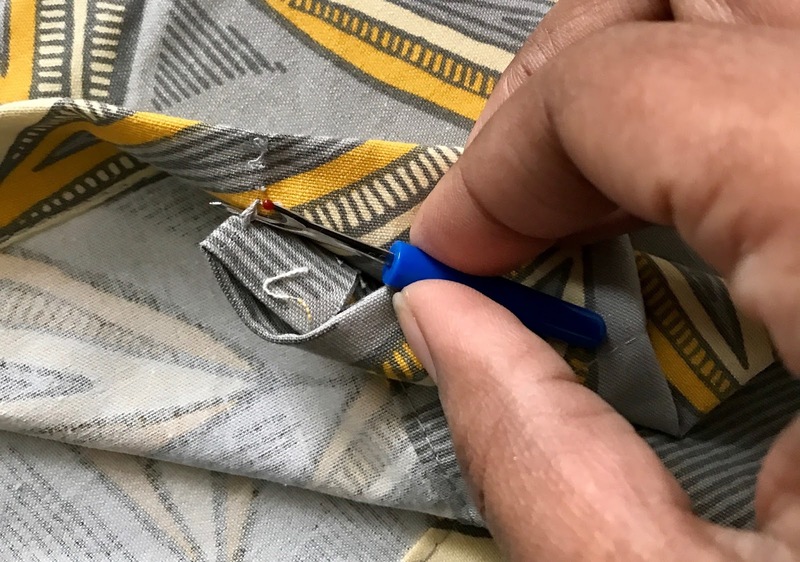 While you have the iron out, you can hem bottom hem , as well as the 2 cut sides of the curtain panels with hem tape, simply fold over twice to create a 1-inch hem. Then put those babies up on your rod and hang them high and wide (to give your windows a larger appearance)! Stand back and admire your work and resourcefulness! The best part is when the curtains are closed, they still fully cover the window! What do you think? Is this something you would try? Thank you Tracey! I don't know what it is that made me so drawn to it, but I t definitely makes me smile. That's such a great idea! Thank you for the tutorial. You made it seem doable!! LOL! !